Bob MacEachern began his broadcasting career over 30 years ago and is the owner of Port Hawkesbury based radio station CIGO - FM. In 2013 he received the Radio Television Digital News Directors' Lifetime Achievement Award. He is a partner in several companies based in the Strait Region. Bob is active with community organizations including past president of the Strait Area Chamber of Commerce, Inverness-Richmond Career Development Centre, Festival Antigonish and the Port Hastings Historical Society. He is married and the father of three. Judith was appointed Executive Vice President, Regulatory, Legal and Business Planning in March of 2016 for Nova Scotia Power (NSP). Prior to this she was the Vice President, Corporate Affairs. 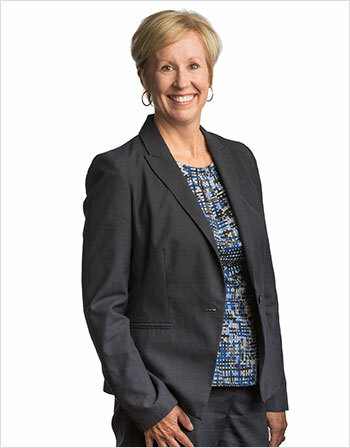 Judith oversees all legal and regulatory aspects of Nova Scotia Power's business and is also focused on NSP's strategic direction and the various ways NSP can contribute to the economic viability of the province. Judith retired from the Province of Nova Scotia where she held the position of Deputy Minister of Justice. Prior to this appointment Judith served as Deputy Minister of Labour & Advanced Education, Office of Immigration and Status of Women; Assistant Deputy Minister and then Deputy Minister of Community Services. She began her career in government as a legal advisor for the Nova Scotia Department of Justice. 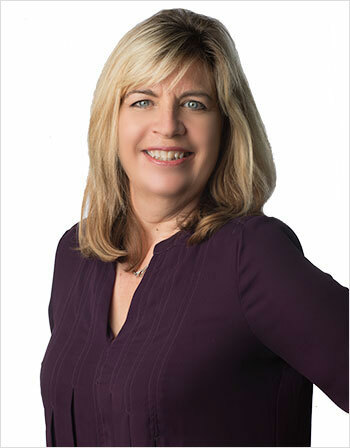 Judith holds a Bachelor of Laws degree from Dalhousie University Law School and a Bachelor of Arts degree from the University of Kings College. Judith is a member of the Phoenix House Board of Directors and a past member of the Board of the Children's Aid Society of Halifax. Karen L. Churchill is Vice President of Customer Service for Web.com, overseeing both the Yarmouth and New Glasgow locations. Karen moved to Yarmouth in 1971 as a young child. She has made all of her career decisions in order to live, work and play there. Karen graduated from NSCC’s Burridge campus in 1984 with a Cosmetology diploma, and even though her career path has changed over the years, her time at NSCC has provided her with a strong foundation. Karen has been a community volunteer for many years, starting as a young teen with Yarmouth Figure Skating Club. She has been involved committees and organizations, such as the Yarmouth Cup Yacht races and the Rotary Club of Yarmouth. For three years, she served as President of the Yarmouth Chamber of Commerce and she is currently Chairperson for the NSCC Yarmouth and Digby Make Way campaigns. Karen continues to live in the Municipality of Yarmouth with her husband. She is a mother of one child, a step mom to three others and now a grandmother of four. She is immensely proud that two children have joined her as NSCC Alumni. Kevin Cowper is a member of the Digital Innovation and Technology department at NSCC. After graduating from the Radio and Television Arts Program at Kingstec Campus in 2001, Kevin turned an internship into his dream job working for TSN in Toronto. Kevin returned home a few years later, and started his career at Ivany Campus in 2007. An expert in the audio/visual technology field, Kevin provides NSCC service and leadership in livestreaming, event AV production, digital signage, and classroom AV technologies. Each June, you can find Kevin travelling around the province to capture student success providing AV livestreaming support for our 21 convocation ceremonies. To date, he has brought this important event to friends and families tuning in from around the world for 100 NSCC convocations! Kevin is also a freelance video producer and has shaped content for the Halifax Mooseheads, World Trade Centre Ltd, Pier 21, Planet Paws, Eastlink, and the Canadian Cancer Society. When he’s not spending time with his family and dogs or working, Kevin can be found on the ice playing hockey. He is a proud father to his son Maximus, a proud husband to wife Sarah, and a proud representative to NSCC’s Occupational Support Staff. He is excited to serve on the Board and is committed to bringing that same passion and voice to the College through his new role. Howie is currently a Regional Director with Lindsay Construction in charge of the Cape Breton region. His duties include all aspects of construction from business development to preliminary design, budgeting, final design, operations/construction, to final close out. Prior to this Howie was with DORA Construction, in Sydney, Cape Breton for 14 years where he served in a similar capacity. Howie graduated from NSCC's Strait Area Campus in 1993 with a Carpentry diploma, he achieved his Journeyman Status and Red Seal in 1997. He later received an executive certificate in Construction Leadership from Dalhousie University. At the time, this certificate, developed by Dalhousie University and the Construction Association of Nova Scotia, was the first of its kind in the country. Howie has worked in the construction industry for almost 25 years and is an involved member of this community. 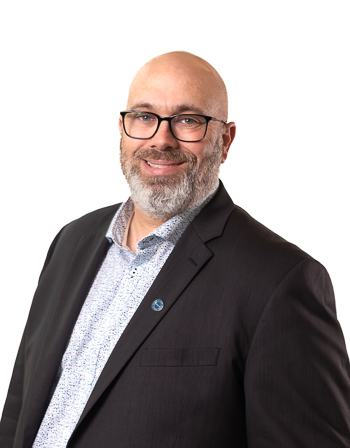 Howie also sits on the Board for the Nova Scotia Construction Labour Relations Association (NSCLRA) and is a former board member for the Nova Scotia Construction Association (CANS). Howie is also a proud father. He and his wife Angela have three sons, one of which recently graduated from NSCC's Marconi Campus with an Automotive Service and Repair diploma. Jennifer Gogan is a faculty member in the School of Business at NSCC Cumberland Campus and Online Learning. Her journey at NSCC is proof that life does indeed come full circle. 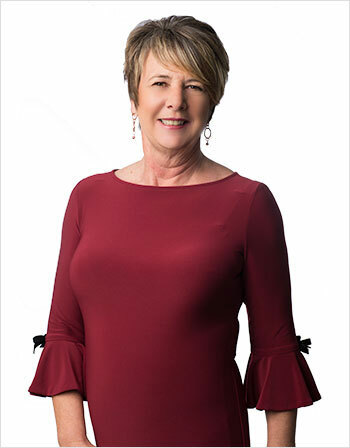 She began her professional career as a teacher at Cumberland Campus in the Fall of 1991, filling a number of term and contract positions for the College until early 1996. Future employment opportunities took her to the public sector, working for the Municipality of Cumberland County/Town of Parrsboro, Department of Social Services, and later the provincial Community Services Department as an Income Assistance Caseworker. While there, she was became a staff trainer for the Northern Region and worked on a number of regional and provincial projects. 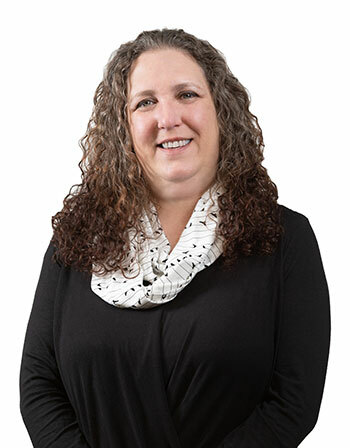 Jennifer rejoined NSCC in 2005, working in Student Services at Cumberland Campus for seven years, including a term as Manager of Student Services, before returning to a faculty position in the School of Business in 2012. She is a strong volunteer with the College and Campus, having served on numerous past initiatives and currently participating with the provincial Student Awards committee, the Online Advising Pilot Project team, the Online Learning Quality Assurance team, and campus committees for Academic Promotions and Awards, Convocation/Student Success Night, Threat Assessment - Planning and Response, and Critical Incident Stress Management. Jennifer has been a staff advisor (SA) for the Cumberland Student Association since 2005 and has been honoured as SA Advisor of the Year. She also volunteers as a portfolio facilitator with Organizational Learning. A lifelong learner, Jennifer has an MEd (Curriculum Studies) from Mount Saint Vincent University, and BA and BEd degrees from Mount Allison University. She is also a proud graduate of both the Student Development and the Teaching and Learning streams of CCEDP. Jennifer is intensely proud to be an NSCC employee, believing fully in the work of the College and the transformative power of education. After twelve years of exploring Canada's Arctic as a diamond-exploration geologist, Joe moved back home to Halifax to pursue an exciting new career in the growing Maritimes tech sector. He is a second-year Web Development student entering his final semester at NSCC's Institute of Technology (IT) campus, where he also serves as President of the Campus Student Association, in addition to sitting on the College's Standing Appeals Committee. Attending NSCC is a family affair for Joe. His twin brother, Arthur, is also a student at NSCC, taking Library & Information Technology at Ivany Campus. Joe holds a degree in Geology & Geophysics from Dalhousie University (B.Sc. Honours '03). His undergraduate thesis won a national writing award from the Canadian Institute of Mining. Having worked as a Geologist in the Czech Republic, eastern Germany, and in every province and territory of Canada, Joe brings a wealth of life experiences to the table as well as an adventurous attitude, a diversity of perspectives and a deep love for Nova Scotia and Canada. Joe is one of two student appointees to this year's NSCC Board of Governors. Vice Admiral Jim King retired from the Canadian Armed Forces after a 38-year career in the Royal Canadian Navy. After an extensive career at sea, including command of the destroyer, HMCS HURON, and the Fifth Canadian Destroyer Squadron, he served in senior staff positions in Canadian Headquarters in Halifax and Ottawa and at NATO Headquarters in Brussels. He represented Canada on the Canada-US Permanent Joint Board of Defence, and has acted as a senior military advisor to three Chiefs of the Defence Staff and four Ministers of National Defence on key issues involving NATO, the UN, Peacekeeping, NORAD, Ballistic Missile Defence and Canada-US security relations. 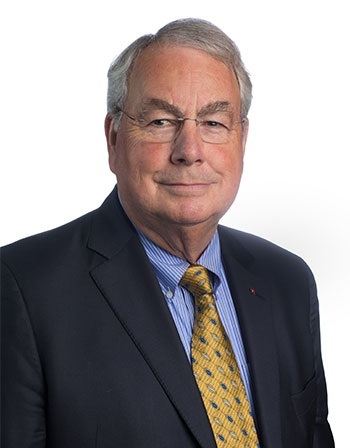 Admiral King is the President of CFN Consultants (Atlantic) Inc. specializing in assisting companies with Canadian Government procurement opportunities in the defence, aerospace and ocean technology domains, Industrial Technological Benefits (ITB), and global supply chain participation. He is President of the Athenaeum Society of Nova Scotia, and Chair of the Centre for Ocean Research and Entrepreneurship (COVE). He is a graduate of McGill University with a BA in International Relations and a graduate member of the Royal College of Defence Studies in London. Admiral King is an avid outdoorsman, sailor and motorcyclist; he and his wife, Barbara, share interests in travel, reading and film. Their son, David, lives in Vancouver. John W. Lindsay Jr was born in Halifax, Nova Scotia in 1950. He graduated from University of Western Ontario with a Bachelor of Arts in 1972. His post-graduate career began in 1973 with the Burnside Development Company, the leading developer of industrial space in Atlantic Canada. In 1979 John became the International Marketing Manager of the Pacific Rim for National Sea Products (Highliner Foods) and over four years built up the world's most diversified customer/product mix of any seafood exporter to the Japanese market. In late 1983, he joined Purdy's Wharf Development as Leasing Manager during the construction of the first phase of Purdy's Wharf, Atlantic Canada's largest and most innovative office project. This project included the first seawater cooling system in a North American office building. Following the successful lease-up of Phase I in 1985, John led the full development of Purdy's Wharf Phase II from 1986 to 1990. In 1995 the company initiated the first internet access service as a rental office building utility in North America at Purdy's Wharf. This helped create Atlantic Canada's first high-tech cluster of companies within the project. Since the sale of the company's Purdy's Wharf interest in 2000, under the corporate banner of East Port Properties Limited ('East Port'), he has focused on office and warehouse development and management in Halifax Regional Municipality and Greater St. John's. East Port currently manages a portfolio of over 2 million square feet of work place real estate for major pension fund clients. East Port projects over the past 5 years include the new development 351 Water Street, a 12 storey downtown St. John's office and parkade building (registered to be LEED Gold); the Beclin Business Park, a 6 building - 250,000 SF warehouse building campus in Mount Pearl, NL (registered to be the first LEED certified warehouse campus in Canada); Bluefrog 134, a 84,000 SF suburban office building in HRM (registered to be LEED Silver) and the redevelopment and expansion of 235 Water Street in downtown St. John's. John is a licensed Broker with the Nova Scotia Real Estate Commission. A long time YMCA volunteer, including the Halifax YMCA Board of Directors 1984 to 2002, Chairman of the Board of Halifax YMCA 1990-1993, YMCA Canada Board of Directors 1990-1995 and Vice Chairman YMCA Canada 1994-95. He is currently on the Halifax YMCA Board of Trustees and Chairman of the Capital Campaign for a new YMCA facility in central Halifax. He was also the Chairman of the HRM Community Facility Master Plan committee in 2008. 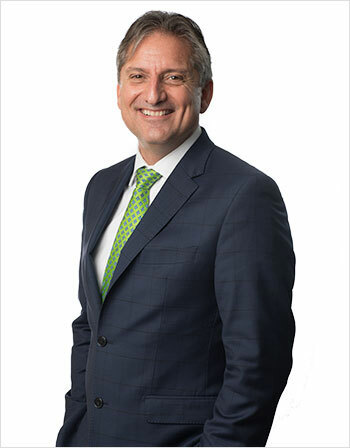 Stephen Maltby has been appointed Managing Director, Region Head & Branch Manager, Private Wealth Management & Wood Gundy, Atlantic. Stephen has been with CIBC since 2008, and has held progressively senior roles in Wood Gundy, most recently as Executive Director, First Vice President, CIBC Wood Gundy, Atlantic. He will be responsible for CIBC Wood Gundy, CIBC Trust, CIBC Private Wealth and Banking Operations in Atlantic Canada. 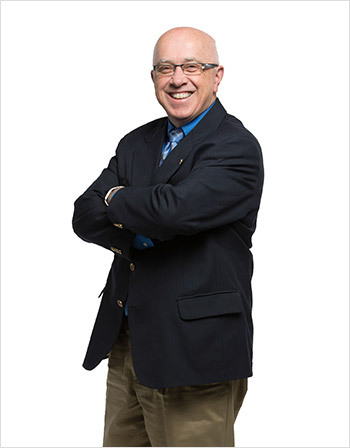 A graduate of Mount Allison University, Stephen has been in the Financial Service Business for over thirty years. He has held roles as a Chartered Accountant and Partner with a National and Regional CA firm. As well, from 1998 to 2008 he was previously employed as an Investment Advisor and Branch Manager with Merrill Lynch and BMO Nesbitt Burns. Stephen is President, Amherst Developments Limited and owns the Super 8 Motel in Amherst, Nova Scotia as well as commercial rental properties. He is President of Maltby Group in Amherst that runs a number of local active business and real estate operations. Stephen is an active volunteer including the Board of Directors, Easter Seals Nova Scotia; Member, Rotary Club of Amherst; Director, Past Treasurer, Cape Jourimain Nature Centre; and Past Coach, President, Executive Member Amherst Minor Hockey, Cumberland Minor Hockey, Amherst Junior A Ramblers. Stephen has been a recipient of the Chartered Accountant of the Year for Nova Scotia and was awarded Branch Manager of the Year in Canada for CIBC Wood Gundy in 2012. Amanda is a member of Glooscap First Nation and was born and raised in the Annapolis Valley. After graduating from high school in 1999 she attended Mount Allison University, graduating with a Bachelor of Arts (with Honours) in Political Science. She then attended Dalhousie University graduating with a Master of Arts in Political Science. After completing her studies she opted to travel the world for a while and spent a total of 4 ½ years living and working in Japan, South Korea, London England and rural Scotland. Amanda returned to Dalhousie in 2006 to pursue a double masters in Information Management and Public Administration. Following graduation in 2009 Amanda was hired by the Atlantic Policy Congress of First Nations Chiefs Secretariat (APCFNC) as a Policy Analyst for First Nations Health, a position she held for one year before taking on the role of Senior Health Policy Analyst. Amanda was hired by Glooscap First Nation as the Director of Administration in June 2013. In June 2015 the Board of Directors for Glooscap Ventures, the economic development arm of Glooscap First Nation, requested that Amanda take on the role of Acting CEO until March 31, 2017. Amanda is excited about the role and the learning that is sure to come with it. 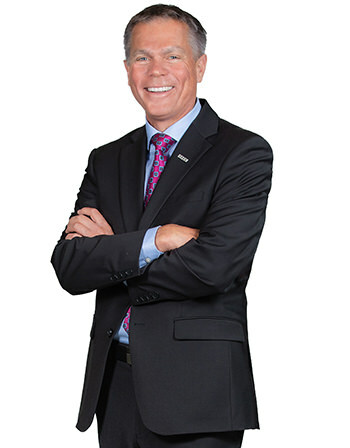 Jeff Ransome is the General Manager of the Halifax Marriott Harbourfront, the current Chair of Discover Halifax, and a member of the Halifax Special Events Advisory Committee. With over 30 years of tourism and hospitality experience, Jeff believes deeply in the tourism industry’s ability to enrich the communities that embrace it. Jeff sees the effects of a healthy tourism industry benefiting visitors and locals alike, and he is actively engaged in growing tourism as a catalyst to build a better Halifax. 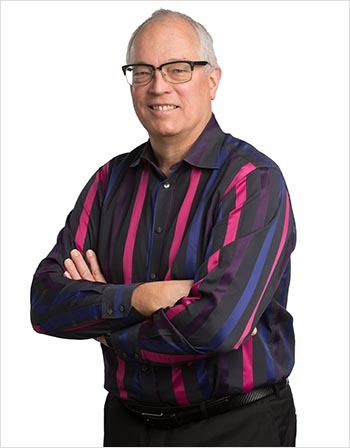 Jeff has sat on the Mayor’s Advisory Council for the tourism industry and he is the former President of the Hotel Association of Nova Scotia and Treasurer of the Hotel Association of Canada. Jeff entered hospitality management because of his love of food and the food service industry, which led him to work with casinos, cruise ships, and hotels. Jeff attributes his success to his passion for the industry. Jeff holds a diploma in hotel restaurant management from Sheridan College, a Red Seal from Humber College in culinary management, and a certificate in hotel real estate and investment from Cornell University. Rustum Southwell has a true entrepreneurial mind, business acumen, passion and spirit to drive a successful business. He took his years of experience and acquired competencies to oversee an organization whose main purpose is to develop and enhance Black-owned businesses in Nova Scotia. 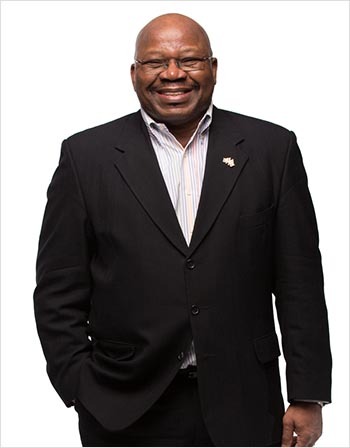 As the first and founding CEO of the Black Business Initiative (BBI) for 17 years, Rustum's vision, tireless efforts, dogged determination and persistence has made the BBI a well-respected organization and a leader in developing an entrepreneurial culture that is helping to drive the economic vibrancy in Nova Scotia. He is an able and innovative administrator with significant expertise in strategic planning, business and entrepreneurial development and corporate governance. Rustum understands and champions the importance of employing entrepreneurial participation in community economic development strategies. He studied at Dalhousie University and holds a Honorary Business Diploma from the Nova Scotia Community College. Rustum has served on many Boards including United Way Halifax, Waterfront Development Corporation Limited, Hope Blooms and The Nova Scotia Government Electoral Boundaries Commission. In 2012, Rustum was awarded the Queen Elizabeth II Diamond Jubilee Medal for service to Canada and Nova Scotia. 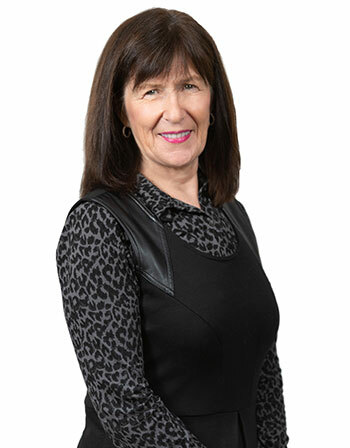 Marlene has recently been a member of the Cape Breton University Board of Governors for five years and is presently a member of the Verschuren Centre for Sustainability in Energy and the Environment at Cape Breton University. She has been the spokesperson and champion of the United Way campaign in her community. Marlene is currently is Chair of the Board for the Cape Breton Regional Hospital Foundation and on the executive of Destination Cape Breton. John is Vice President, Corporate Development for PCL Construction. John leads relationship management and business development for PCL’s existing and prospective national clients in the Canadian Buildings sector. During his nearly 30-year tenure with PCL, he has worked in operations and project management roles, including operations manager in PCL Ottawa (2002–2004) and vice president and district manager of PCL Atlantic Canada (2004–2015). 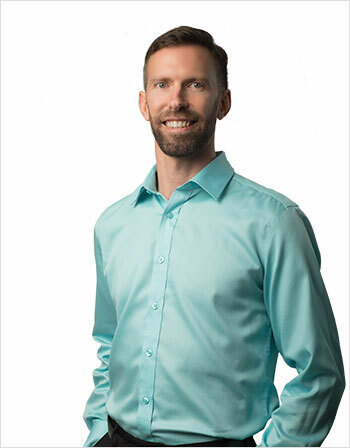 John holds an MBA from the University of Western Ontario and a bachelor of science in civil engineering from the University of Calgary, and he is a Canadian Construction Association (CCA) Gold Seal-certified project manager. In 2013, John was awarded one of the CCA’s 38 Queen Elizabeth II Diamond Jubilee medals designated for Canadians who demonstrate outstanding service to the construction industry. He recently concluded a ten-year-commitment to the board of directors for the Construction Association of Nova Scotia, and he continues to serve on the boards of the Art Gallery of Nova Scotia and the Nova Scotia Community College.